Posted on December 22, 2010 by alittleart Tagged digitalforestimprovimprovisedportraitpostertheatre	CommentsNo Comments on Currently working on . . .
Current project, a poster for a “darkly comic” improvised theatre group, with a brief from the producer of “go a bit creepy”. Created using a mix of Illustrator and Photoshop, with the portraits done separately using my handy new digital tablet. Nearly there. 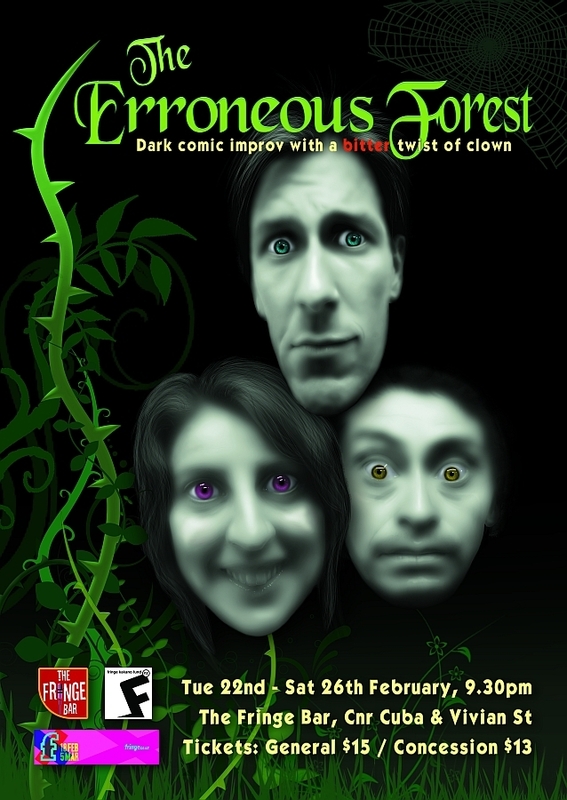 This entry was posted in digital, Photoshop and tagged digital, forest, improv, improvised, portrait, poster, theatre. Bookmark the permalink.